Nappa, Beerus, Kid Buu, and Gohan (Adult) join the fight. Bandai Namco has announced the roster of characters playable in the Dragon Ball FighterZ open beta. 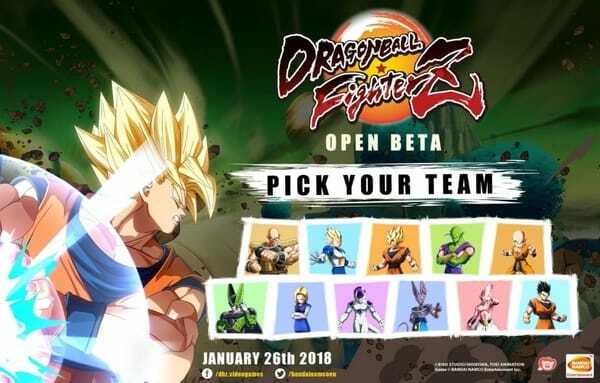 The Dragon Ball FighterZ open beta will run from January 14 at 12:00 a.m. PT / 3:00 a.m. ET / 9:00 a.m CET to January 16 at the same time. Users who pre-order the game will gain early access to the open beta on January 13, also at the same time.